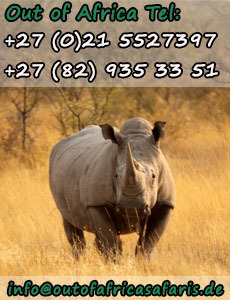 Out of Africa Safaris was founded in 1994 and we are now one of the leading nature tour operators in Cape Town. We have inspired over 4000 clients with Africa’s unique landscapes and natural beauty. We are looking forward to your enquiry! See you soon in Africa! …Land of unrivalled beauty, unique wildlife and interesting cultures, is one of the last destinations in the world where true wilderness areas can still be found. With its over 250 mammal and 800 different bird species and its incomparable flora and landscapes it will leave you with unforgettable impressions! It starts in Cape Town and ends in Victoria Falls and is 21 days long. This has been our most popular tour for the last 19 years. It shows you most of the highlights of Southern Africa, like the ever changing, arid landscapes of Namibia and the pristine wildlife sanctuaries of Botswana. On this 21 day journey of contrasts, we will climb some of the highest sand dunes in the world, visit some of the best game reserves in Africa, including Etosha Pan and the flood plains of the Okavango Delta, and experience the mighty Zambezi River at the famous Victoria Falls.